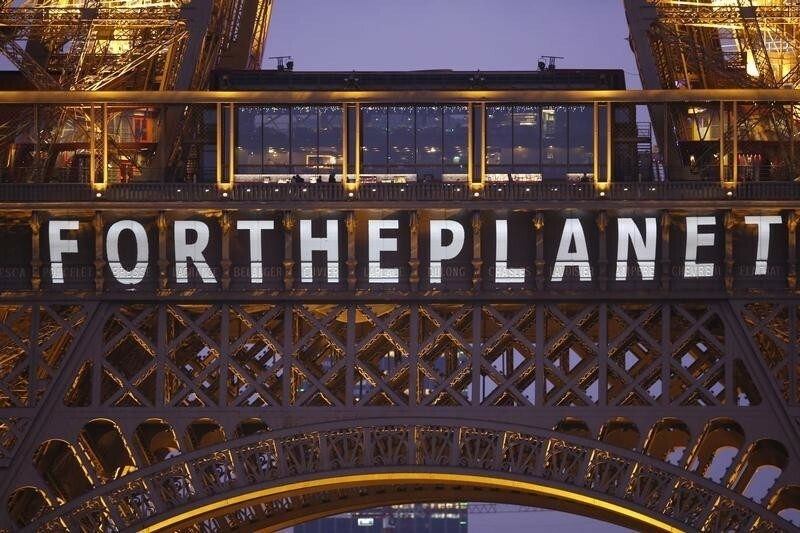 Scooper - Technology News: Can world leaders deliver on the promises of the Paris Agreement? Can world leaders deliver on the promises of the Paris Agreement? Fifty-five world leaders and representatives from 120 countries celebrated Earth Day by signing the Paris Agreement on climate change – in simple terms this could be likened to signing a gift card that promises a lot, but still needs to be cashed in to realise its true value. The Paris Agreement was ‘adopted’ in December at the UN climate change conference (COP21) but to become legally binding, 55 states representing at least 55% of global emissions must first sign the agreement (achieved last week) and then also indicate their consent to be bound by it and become parties to it. This is done by submitting an ‘instrument of ratification’. At last week's signing ceremony the international community surpassed the previous record for opening day signatories to an international agreement (previously 119 signatures set in 1982) sending an unmistakable signal that global momentum for climate action is not going away. Fifteen countries also ratified the agreement on Friday and others including China and the US plan to do so before the end of the year. The 175 countries that signed represent approximately 94% of global emissions and 92% of the global population. A growing number of leading businesses also want climate action. They want governments to deliver on their promises and they also plan to act themselves. In the lead up to COP21, many companies signed public statements calling for global climate action. This included a group of 79 global CEOs with a combined revenue of more than $2.1 trillion and supported by the World Economic Forum. Thousands of businesses have also pledged individual and collective commitments and many of these are already taking action. They are standing with Governments and communities across the world that want to transition to low-carbon and climate-resilient economies and societies – and with good reason. It makes good economic sense. A recent study led by the London School of Economics estimated that even if we limit global warming to 2°C, non-bank assets worth $1.7 trillion risk being damaged. If temperatures rise by 2.5°C, the number jumps to $2.5 trillion. In the last 5 years the Global Risks Report has repeatedly identified climate change and ‘failure to adapt to climate change’ among the top risks facing the world. The overwhelming support on show last Friday affirms the world is moving quickly to lock-in the Paris Agreement. Through the outstanding diplomacy and leadership of the government of France (as the Presidency of COP21) and the UN, the agreement provides a clear global roadmap for addressing climate change. But that doesn’t meant the job is done. The question now being asked is - how quickly can we translate it into practical action? The roadmap is supported by self-nominated emission reduction targets from 167 countries plus the EU. Most countries set targets for 2030, with a few including the US opting for 2025. The goal is that collectively these targets will cut global greenhouse emissions enough to keep global warming to ‘well below 2°C’, while aiming for 1.5°C, limiting the amount of climate change that results. With a 10-15 year horizon for achieving these targets there may appear to be plenty of time to take action. However, this impression is misleading. To meet these targets, action needs to start now. For example, one aspect of decarbonising our energy systems will be to install more renewable energy, but large energy infrastructure projects can take years to move from conception to generating their first watt of power. Many of the choices we make on energy infrastructure today will have an impact for 30-50 years. In fact, to keep to the 2°C target, global emissions will need to peak by 2020 or very soon after. Early action will be critical. This will be a key task for the government of Morocco when it takes over the presidency for COP22 in November. The goodwill is real. The business case is strong. The momentum is clear. But can the world actually deliver? National governments will set frameworks and regulations to achieve their self-nominated targets, but ultimately it is businesses, sub-national governments, and communities that will need to take action. Globally, this creates a complex web of actors with vastly different backgrounds. It sounds daunting and complex, but a partnerships have approach has the potential to fundamentally change the status quo and transform entire ‘systems’ – be they entire cities, global value chains, or economies. 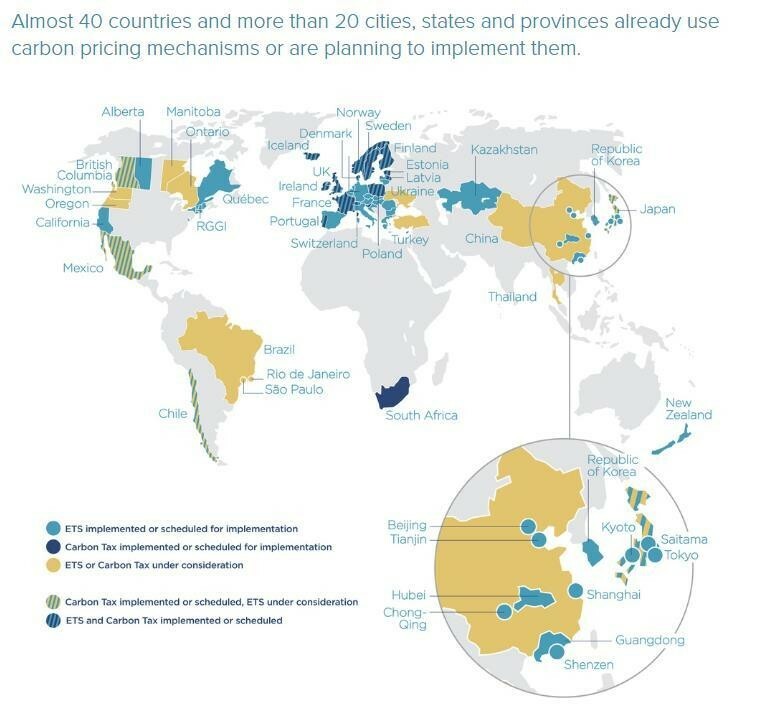 Firstly, how quickly and widespread carbon pricing mechanisms and markets can be implemented . Carbon pricing helps shift the cost of carbon emissions back to those who are responsible for them, creating a financial incentive to reduce them. The introduction of China’s scheme in 2017 could be a game-changer and Canada also plans to introduce a national carbon price. The high level Carbon Pricing Panel and Carbon Pricing Leadership Coalition convened by the World Bank will help accelerate progress on this front. Secondly, how effectively financial markets respond to the reality of climate change . In coming decades, trillions of dollars will need to be invested in climate-resilient infrastructure and low-carbon technologies including around 12 trillion in renewable energy . This may be through increasing the size and availability of new ‘green’ financing vehicles or ensuring climate risks and commitments are adequately factored into investment decision making. In a positive sign, banks, institutional investors, and asset managers are increasingly engaging on this agenda. The Financial Stability Board’s special taskforce and the G20’s focus will also help, but climate change will need to be mainstreamed into our financial systems sooner rather than later. Thirdly, how well governments and businesses capture the opportunities of new technology and support that technology to spread to regions currently without access to low-carbon technologies. There are the usual suspects – electric vehicles, batteries for electricity storage, renewable energy, bio-based solutions (think biojet fuel or plastics made from biomass instead of petroleum), and the digitally-enabled sharing economy. There will also be new technologies not yet invented. An important factor will be how well these low-carbon technologies are integrated into business models and whether or not they are welcomed by government policies and regulations or impeded by them. By harnessing the widespread goodwill that now exists, effective partnerships in these areas could provide systems-level leadership and action that could ensure that world leaders signed a gift card for the planet that can actually be cashed in. And one that benefits us all. Have you read? A historic tipping point for climate action What role does climate justice play in the Paris Agreement? What will the Paris Agreement mean for global governance?